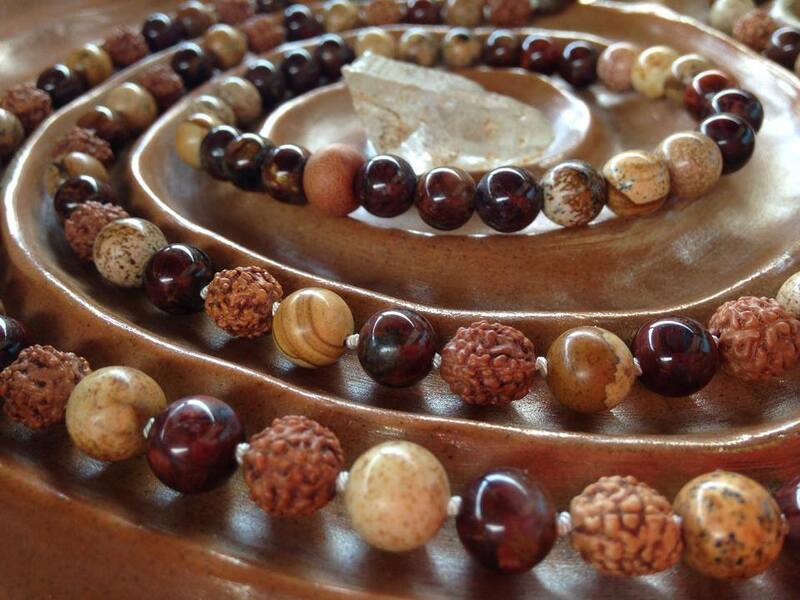 For when you need a mala for a specific purpose or utilising a special charm/stone/beads, I can design and specially formulate a mala for you. 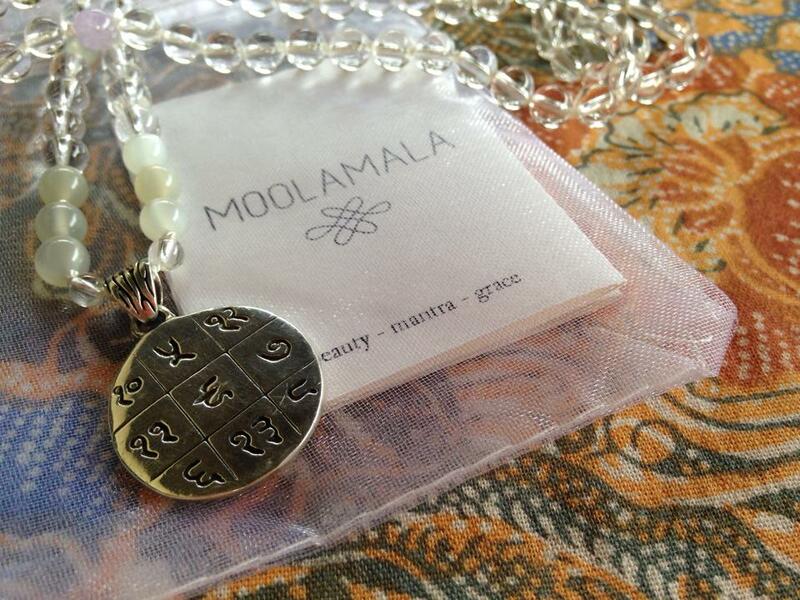 Here are some examples of custom Moolamala made to date. above: a medicine mala made with amethyst, lavender amethyst, rose quartz, bloodstone, black tourmaline and rudraksha for a client who wanted something for health and protection (bloodstones and tourmaline) and also wanted the energies of amethyst and rose quartz together. 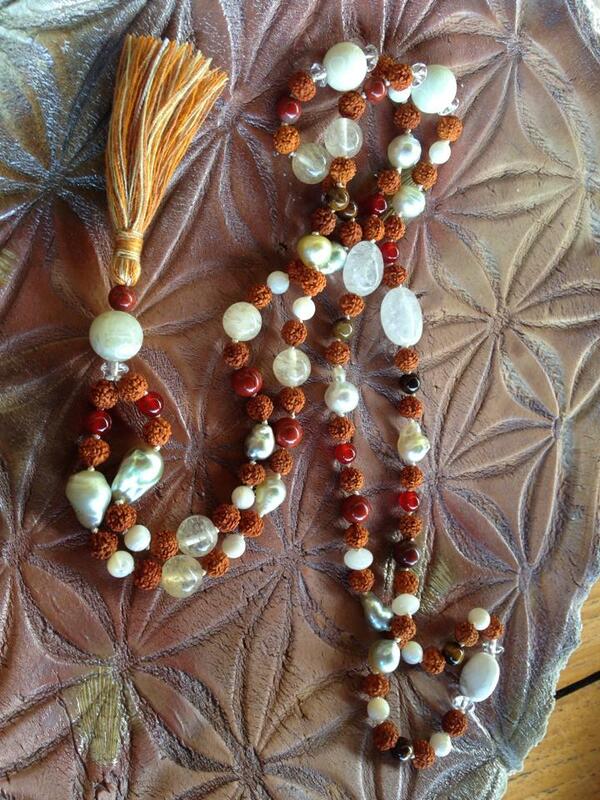 above: medicine mala I made for myself, to help with shyness and communication. Made with malachite and red tiger eye (good combo for confidence and self acceptance), aquamarines and rose quartz for communicating with love. 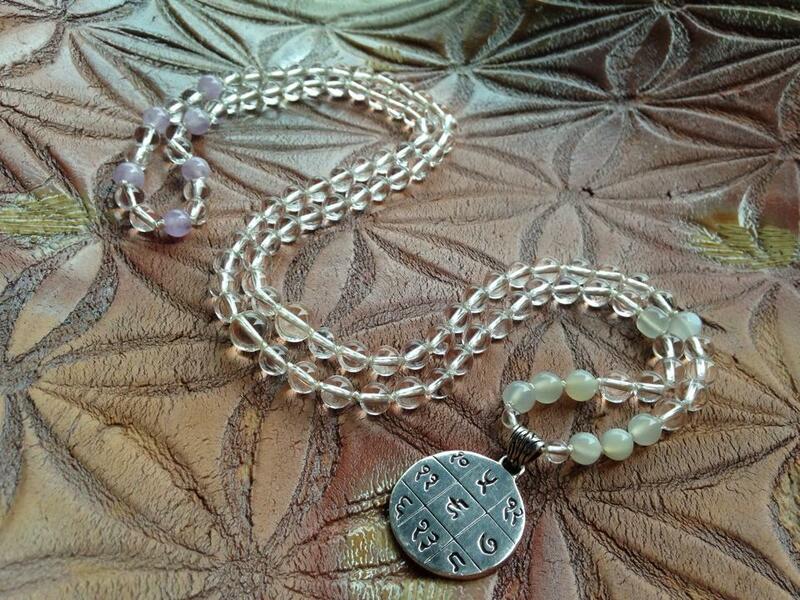 above: Sometimes after going through a lot, a mala breaks and needs some servicing. 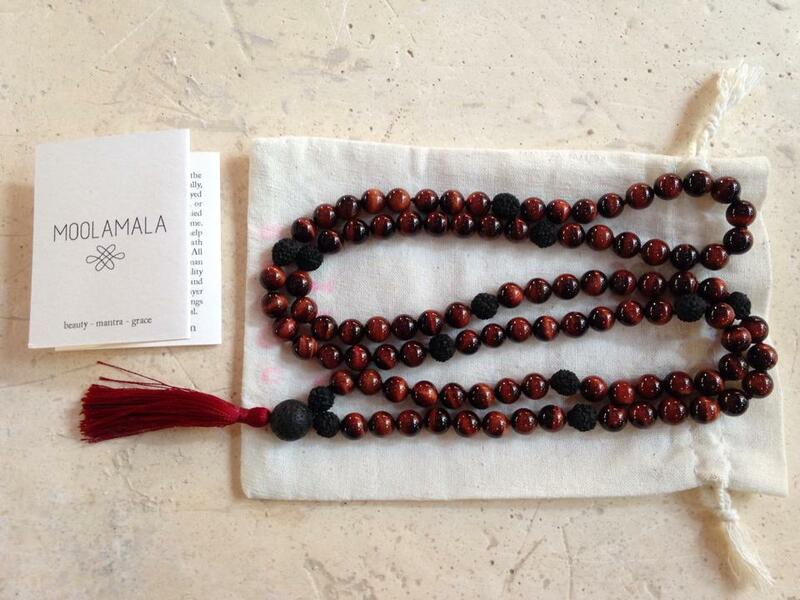 This mala’s owner sent it in for reknotting after it broke a few times (he valiantly mended it twice and continued using it!). In this incarnation, he asked for stones to help with control issues, self love, forgiveness and unconditional love, for which I added green aventurine in the heart area. The rudrakshas have aged so beautifully here. 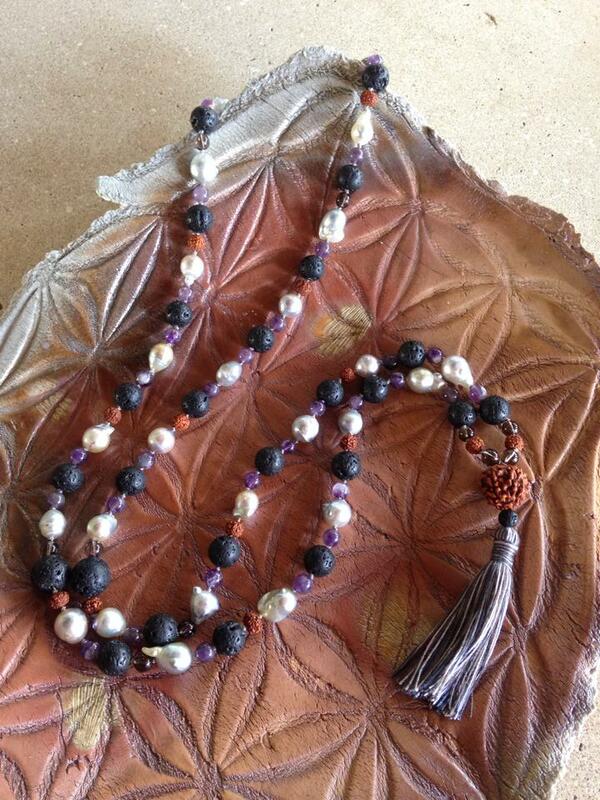 above: For a client who had some beautiful baroque pearls which he had purchased from a dealer, this kingly mala of lava rock, amethyst, smoky quartz and rudrakshas surfaced. above: For a client who wanted two mala for saying a mantra given to him from a teacher, we sourced and selected the stones together to suit his needs, and made (a) a earthy and easy mala of picture jasper, petersite and rudraksha with a citrine guru bead, and (b) a serious mala of red tiger eye with black rudraksha. So if you have any crystals, pendants or old pieces which you would like to breathe new life into, or if you simply want a new mala made to your needs, contact me to find out more.